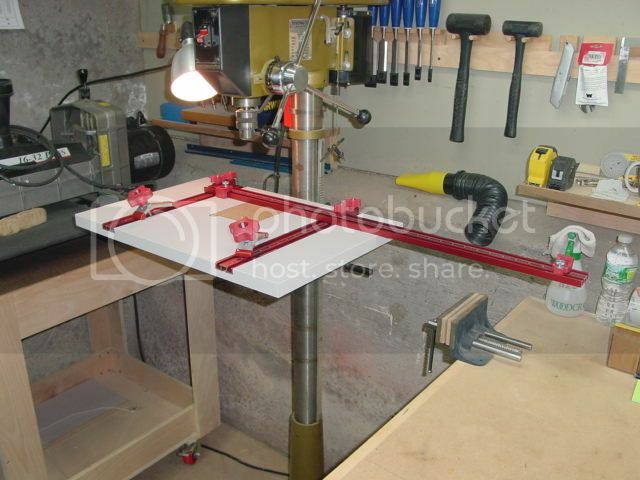 I have been debating for a year or so about building/buying a good drill press table for my DP. I have seen a lot of really well done ones on this website, and till a few weeks ago hadn’t really seen anything commercially made that really impressed me. 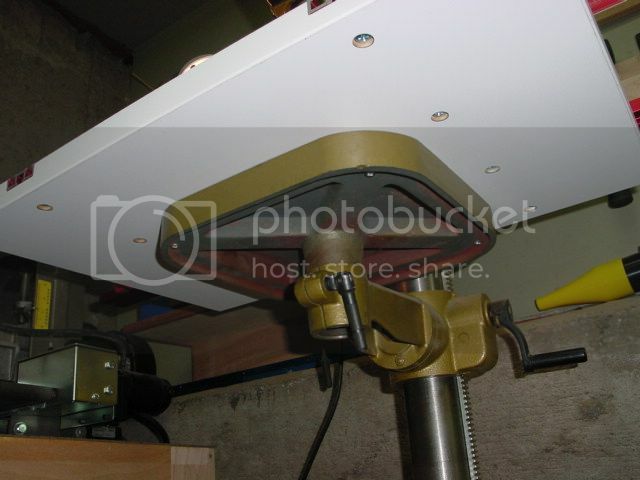 I have worked a couple projects lately that I needed the DP for and just a piece of melamine poorly clamped to the metal table wasn’t cutting it.I went online for design inspiration and was looking for ideas on LJ and at commercially made tables. That’s when I found the Woodpeckers table. It looked really good in the pictures..it had all the features I was looking for and seemed to be constructed really nicely…so I did some math and added up what it would cost me to make something similar and decided to give the WP table a shot. I ordered it from my local Woodcraft, that way I didn’t have to pay shipping, and if there is something wrong with it I deal with them…plus it came in a large box and was fairly heavy..so the shipping wouldn’t have been cheap. I followed the installation directions..they were fairly clear..a little confusing on which way to install the side guide channels. There are marked very nicely with scales on both sides so it was fairly easy to figure out which way to do it. Here is what it looks like.. The table is 1” thick melamine with an MDF changeable insert. It’s edged with heavy duty plastic edging. 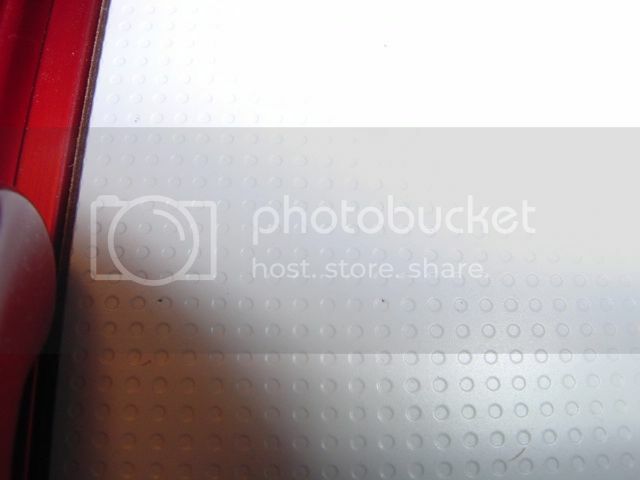 The surface is that new microdot texture..it’s like the surface of a golf ball.. It makes things slide like it’s perfectly waxed..I really like the feel of it…it’s perfect for something like this. Installation was pretty straightforward..I had to wing it a little..I ended up drilling my own holes in the cast iron DP table and used some longer screws…it worked out perfectly.. The tracks bolt up from below in pre drilled holes and they are held on with t nuts..that all went together flawlessly. There is a hole drilled in the center of the table under the insert..I chucked up the same size drill and used that to position the table perfectly aligned with the drill. My only complaint was that the anodized aluminum hardware pieces were all thrown in the same bag and they got a little scratched up..I might be being picky..the T tracks were wrapped to protect them so they were fine. The fence slides smoothly on the side tracks and locks up tight. Its easy to line it up with the scales on both sides. There are also two flip stops that can be positioned anywhere on the tracks..
Another great feature of the table is the hold downs. 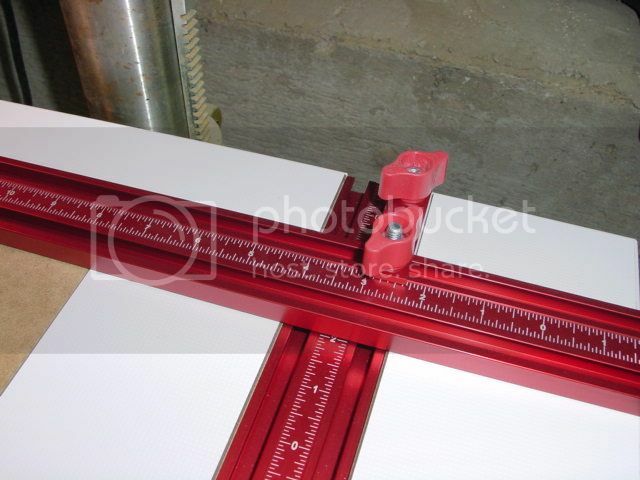 They ride in the T tracks and also can be positioned anywhere and lock down smoothly..
Also the fence slides from one side to the other so you can drill long pieces.. 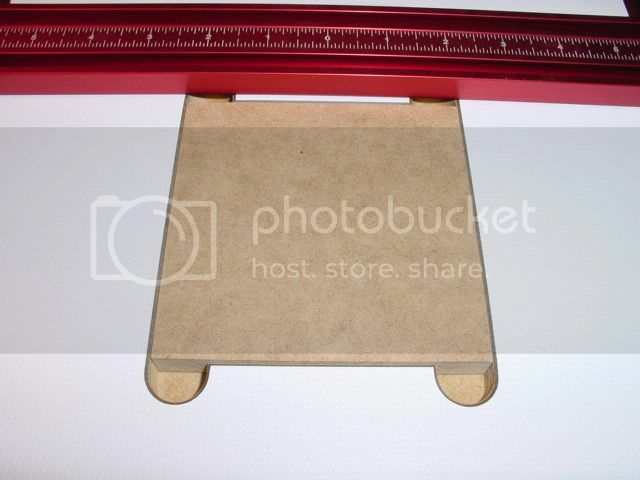 The insert is just 1/2” MDF and I can make my own. There are small screws under each corner so you can level it..i was able to get it perfectly flush with the table.. They also make a tall fence that I will be ordering as well…its a little pricy, but made from the same nice anodized aluminum as the rest of the pieces. Overall the table went together easily and all the components are well made and feel quality. I like the fence a lot..the action is smooth and accurate. The table is a good size..not too big and it doesn’t interfere with my crank to raise and lower the table. I did some test drilling and I like it so far but I will update this review after a few months of use. THANKS for the review! I bought the same set up last year but have not set it up yet, glad to know that I made a good choice too! I like the inclusion of all the pics. The woodpecker dp table is the one I based my shop built table off of. 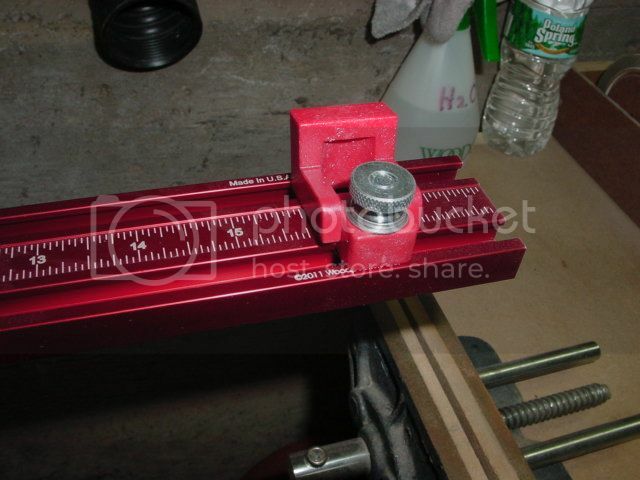 Mainly for the short fence and center inserts that can be adjusted for level. I might get some of that microdot laminate. About the tall fence; unless you drill a lot of pieces on edge I recommend against it. 99% of my own drilling happens on the flat. Just think about what you drill most of the time before you spend cash on something you might not use a whole lot. I have this table as well. Great addition to the drill press! I have the same table, from the same store… ;^) I was going to build one myself, but once I priced out the tracks, etc… added my build time, and thought about my to-do list, I got lazy and handed my credit card to the guys in Manchester. I feel it was a decent value, and I really like how easy it is to make replacement consumable inserts from cheap stuff. My only complaint, and it’s a personal-preference overly nit-picky one, is the golf ball surface. To me, it’s too slippery. While I like tools where the wood is supposed to move to be slippery, I like things like drill tables, mortisers, sled floors… to have some traction to help hold the work in place. @Barry: I was thinking it would make a great router table surface. Looks like a nice system. I made one with a storage drawer, but it is a little heavy when it comes time to raise or lower the table. Yours looks sturdy, but not overly heavy. Nice. I have had the same setup for several years and really like it. I bought the tall fence also and it is a waste of money. Never use it. That looks like a really nice table. Much nicer than the Rockler version that I have. I was thinking it would make a great router table surface. Good point! I wonder where we would get that stuff? I ordered some 5”x7” samples from formica’s website to see how it feels. I know my lowe’s can special order formica to the store. 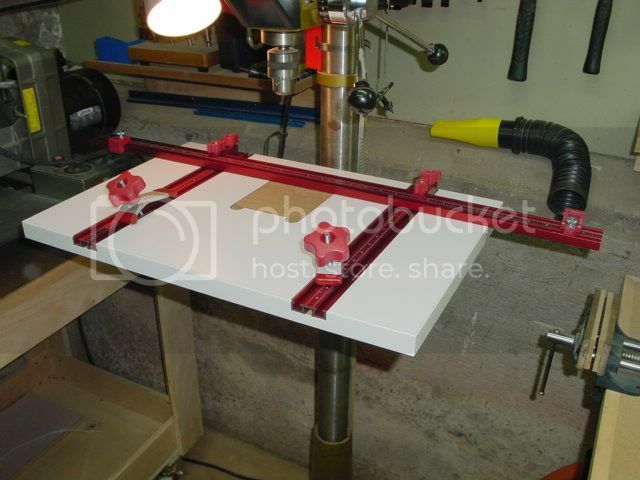 Good info Brad…..I’ve got to improve my DP table…..and the WP stuff is great..have their router table top, great investment. 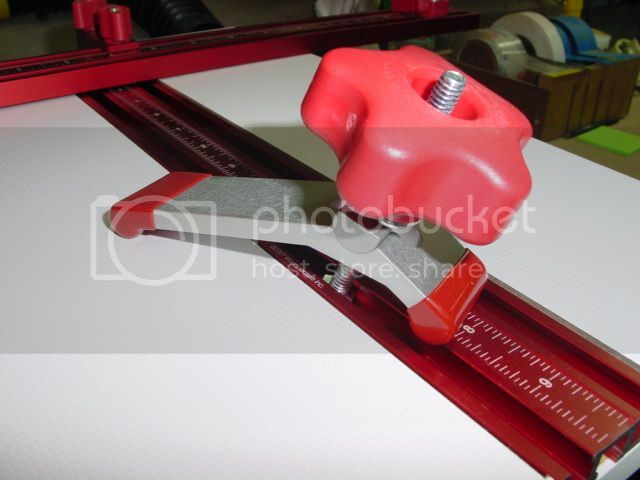 Doesn’t the Kreg router table use this type of surface? The kreg table is $$$ though.